When you want the most customer-focused movers possible, choose our team of qualified, courteous professionals. Upline Moving is a family-owned Palo Alto moving company with a focus on superior customer service. Since 2008, we have provided full-service moving and storage solutions, fair pricing, and door-to-door courtesy for a stress-free move—wherever life takes you. 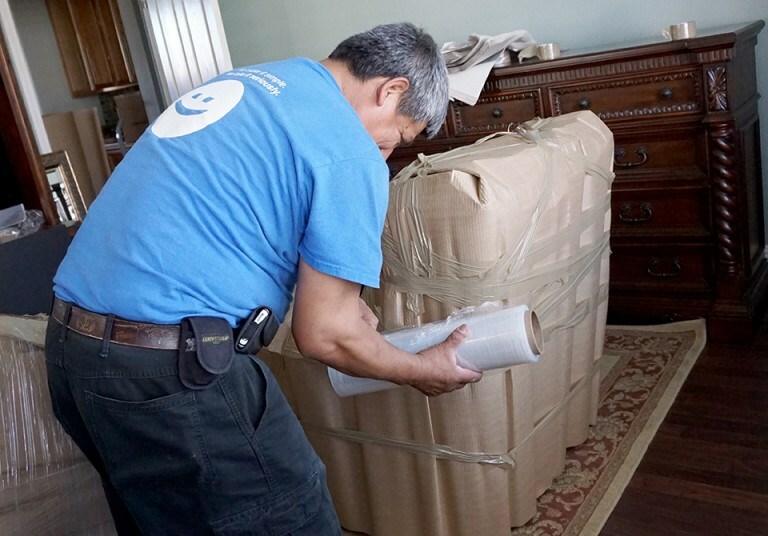 Our movers are fully qualified, and we use the latest resources and industry best practices for your protection. We are BBB-accredited and also certified ProMovers with the American Moving and Storage Association, so you can rest assured that your valuables—and your peace of mind—are in good hands! Local Movers: Just because you’re moving locally doesn’t mean you should have to forego the professional and courteous service you deserve! Cross Country Movers: Planning a cross country move is simpler than you might think when guided by our team of relocation experts. Interstate Movers: We work hard to provide the most streamlined interstate moving services possible, starting with flat-fee pricing. Senior Movers: When you want professional and compassionate moving services for seniors, Upline Moving is a name you can count on. Last Minute Movers: For those last-minute moving challenges, call us for a custom plan that suits your timeline and budget. As a full-service moving company, we are proud to offer secure storage for completing your move with ease. We have warehouse facilities conveniently located throughout the United States. Choose from our long term or short term storage options in Palo Alto, and get the first 30 days of storage for free! At Upline Moving, we understand the importance of choosing the right movers. If you have questions about the services offered by our Bay Area Movers, give us a call today. We'll be happy to answer your questions and discuss your unique moving needs. You can also submit our simple online form to schedule an up-front moving quote!